Welfare’s third successive win moved them nine points clear of the drop zone. 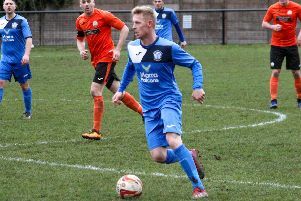 Craig Aspinall carried on where he left off in the last game by scoring the opening goal on 18 minutes to give Welfare a crucial lead. Josh Dodd netted what turned out to be the winner with 12 minutes remaining. The hosts pulled one back four minutes from time to make for a nervy last few minutes. 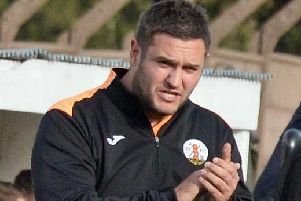 Armthorpe boss Mike Carmody said: “It was a tough game in difficult conditions but we are very happy with the result which is the most important thing. “We've played much better this season and been beaten. “You know what you’re going to get with Leon's teams work ethic wise so you have to match them for that first and foremost. “This is something we didn't do well enough at times and had new signing Alfie (Stevens-Neale) to thank for keeping them out a number of times. “That said, we know we weren't at our most fluent and have more to come but with the quality we possess within the squad we'll always have spells where we open teams up. It's then about taking your chances and we scored two wonderful goals though Craig (Aspinall) and Josh (Dodd). Armthorpe welcome Division One leaders Grimsby Borough to Church Street on Saturday. Borough have won five of their last six, including a 3-0 victory over Welfare last month. Harworth Colliery, who remain four points adrift of safety, return to action this weekend with a trip to struggling AFC Emley. Emley have lost six of their last eight, while Harworth will look to make it three without defeat on the road.